With its soundproof movable partitions, Hall A provides the option to create up to five breakout rooms. These rooms are capable of accommodating groups up to 1,500 with a large centre area for another session, plenary, trade show or networking area. Breakout rooms feature sound, screen and projector as well as individual audio visual and temperature controls. An 80 foot dividing wall opens into Hall C, allowing even more space if needed. 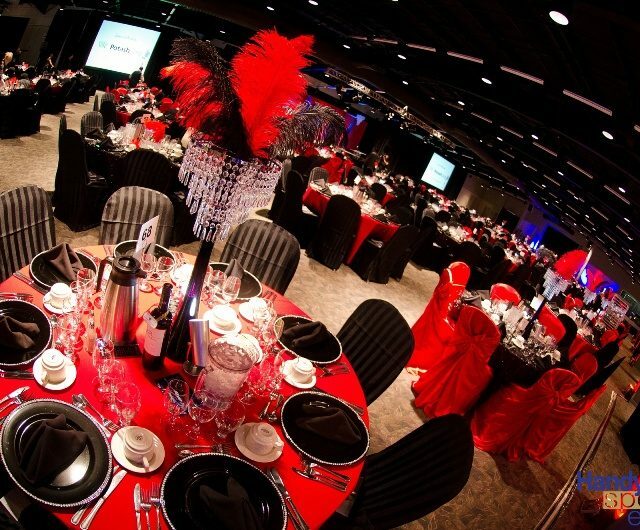 Gala events, meetings, conferences, wedding receptions, business luncheons, speaking engagements and more.